Welcome to the latest stop on the Bat Detective World Tour! After a month in New Zealand, we’ve reached our next stop, Australia, and we’re now just over halfway through the full tour. 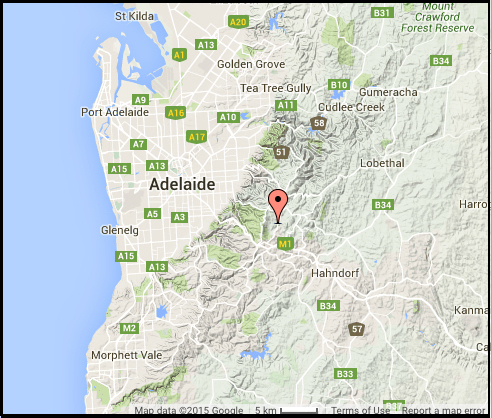 We’ve just uploaded a new set of acoustic data to Bat Detective, which was recorded by the iBats project in the Adelaide Hills in 2011. So visit the Bat Detective site now to listen to the data and get searching for Australian bats. In addition to the World Tour and a busy British Science Week, there’s been lots of activity in the Bat Detective camp in the last few months. In our last blog post we discussed the recently published Mexican bat classification paper by members of our research group, which was widely reported in the BBC and other media. Following that, this month Bat Detective founder Prof. Kate Jones went out bat detecting on London’s Hampstead Heath with Adam Rutherford, for BBC Radio 4’s weekly science show Inside Science. While listening to the sounds of passing pipistrelles through an ultrasonic detector, they discussed echolocation, the use of acoustics to monitor bat populations, and how with the public’s help we’re building classifier algorithms to improve the effectiveness of bat monitoring both in the UK and globally. You can listen to the programme now, or download it as a podcast, from the BBC Radio 4 site. And in other recent news, in April our team’s Rory Gibb presented some of the latest findings of Bat Detective’s citizen scientists, as well as our work to develop automated bat call detector software, at the British Bats Research Symposium in London. Stay tuned to the Bat Detective blog in the coming months for further updates about the progress of our research (you can read our last update here) – the efforts you’re putting in to classifying our recordings are making a real difference. Similarly to the New Zealand audio, our Australian acoustic data are noisier than some of the European and American recordings from earlier in the World Tour: there’s lots more background sound, making it sometimes difficult to distinguish sounds from each other. Keep an ear out for various types of insects, including distinctive rattle-like calls made by crickets and grasshoppers (Orthoptera), as well as calls from a wide variety of bat species. There are around 14 species of microbat (echolocating bats) found within the Adelaide region. They include the Southern free-tailed bat (Mormopterus planiceps, pictured above), a relative of the well-studied free-tailed bat species found across the Americas, as well as the little forest bat (Vespadelus vulturnus), which is only found in south-eastern Australia and is one of the continent’s tiniest mammals (often weighing less than 4 grams). Also found in the Adelaide area – including in the city itself – are much larger fruit bats such as the grey-headed flying fox (whose population in the area is reportedly growing due to migration from elsewhere in Australia). However, since these do not use ultrasonic echolocation, you won’t be able to hear them in our recordings. Thanks very much for all your efforts in classifying the New Zealand data, and we hope you’ll enjoy searching for bats in these Australian recordings. As ever, if there’s anything you find that you’re unsure about, just use the Talk section to flag it up and discuss with other members of the Bat Detective community.